We are very happy to announce that Anthony Sewards has joined our team with four new titles! Proceeds from his titles will be going to a Veterans Charity to help Canada's wounded warriors. 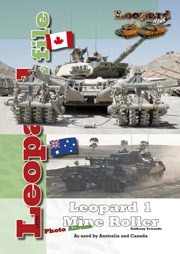 Anthony takes an in-depth look at the history of the uparmoured Canadian Leopard 1 that was deployed to Afghanistan from 2007-2011. 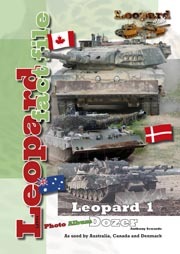 An album-based look at the dozer attachment fitted to Leopard 1 by Australia, Canada and Denmark. An album-based look at the mine roller attachment fitted to Leopard 1 by Australia and Canada. An album-based look at the mine plough attachment fitted to Leopard 1 by Australia, Canada and Denmark. 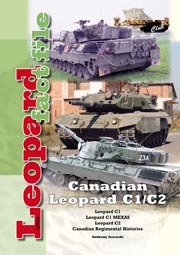 Leopard C1 and C2 were the mainstay of the Canadian Armed Forces from the late seventies until very recently. 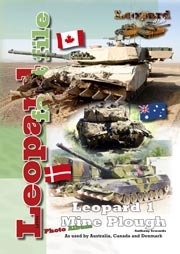 Anthony Sewards continues his exploration of Canadian Leopards with an article that covers C1, C1 MEXAS and C2 complimented with a brief history of armoured regiments that have used Leopard over the years. 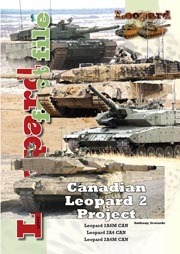 This article concludes Anthony Sewards' look at the use of Canadian Leopard 1 and 2. 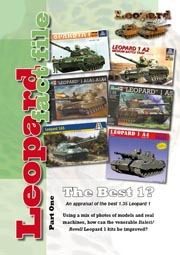 This time we concentrate on the special purpose vehicles built around the Leopard 1 and 2 families. 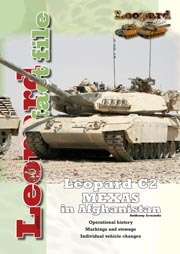 Taurus ARV, Beaver AVLB, Badger AEV, Leopard 2 ARV are all included as well as looking to the future with Wisent 2 AEV. This is our longest article so far, so we hope you enjoy it. 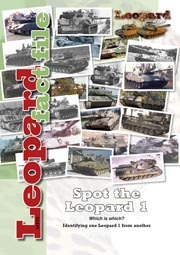 This is the first of hopefully many articles from the author of Battlegroup Leopard. 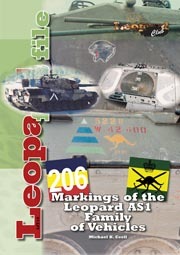 This fact file provides a comprehensive look at markings employed on Australian Leopard 1 family of vehicles from adoption in 1974 to retirement in 2007. This article covers markings used on gun tanks (AS1), ARVs and bridge layers. 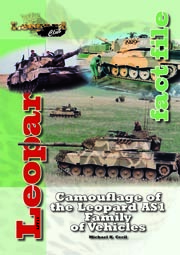 This second offering of the author of Battlegroup Leopard covers the camouflage schemes used on the Leopard AS1 family of vehicles. The fact file traces the history of AS1 cam schems, from the original Gelbolive which gave way to olive drab and then the final Auscam scheme. Numerous examples of improvised mud-cam schemes used are covered, ranging from simple to fiendishly complex. 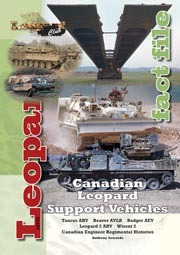 This fact file covers cam schemes used on gun tanks, bridge layers and ARVs.